Where can you buy Bottarga fish roe? Many people like eating dried fish roe, where can you buy them? In the past if you wanted to buy waxed fish roe, you probably needed good contacts overseas. As in the past it was possible to buy caviar only in Europe, it was possible to buy waxed fish roe (that are named Bottarga) just in specific places. These places were especially Italy or Northern Africa countries. Only a few lucky Israelis, that had family members in Northern Africa that were able to move between countries, where able to taste this delicatessen called waxed fish roe. Some Israelis were able to buy waxed fish roe during their vacations in Italy, especially in the south of the country, around Napoli. Today, with open culinary, it is possible to find waxed fish roe all around the world. So where can you find the waxed fish roe? Waxed fish roe. Of course, the natural place to start searching for waxed fish roe are delicatessen and fish stores. It should be noted, that not in every fish store it is possible to find waxed fish roe, because traditionally, these stores sell fish rather than waxed fish roe. In general, the Israeli consumer did not recognise waxed fish roe for years, because the tradition of eating fish roe was not known (caviar is not kosher). Waxed fish roes are kosher – and that is why today more and more fish stores hold a fair amount of waxed fish roe. Beside fish stores, of course you can find waxed fish roe in several delicatessen stores. The immigration from Russia, led to the opening of many delicatessen across the country. Together with the non-kosher fish roe, it is possible to find waxed fish roe that are totally kosher. Most of the waxed fish roe that are sold in the delicatessen stores are imported. Although there are waxed fish roe that are made from fish from Israel (such as the mullet), but in most cases they are imported. Where else can you find them? There are private stores that sell waxed fish roe almost exclusively, especially in the Tel-Aviv area. These are stores that specialise in exceptional food products, including waxed fish roe. The advantage in those places is that you don’t have to choose a one kind of waxed fish roe. In most of them you can find several different kinds of waxed fish roe rather than just one. Of course there is always the possibility to buy the waxed fish roe from overseas, where Italy is the favorite destination for your purchase. In any case, nowadays there are plenty of places where you can buy waxed fish roe and you can also compare the prices and raw materials. Israel’s main distributor of fish roe can be contacted through the website http://www.bottarga.com. They are the Taste of Edan deli which is located in the Natanya market. Offers a wide variety of fish, cheese, sausages etc. Among other things you can buy Mullet and Tuna fish roe. The fish roe arrive in wax from France. The merchandise is high quality and tasty. Worth a try! 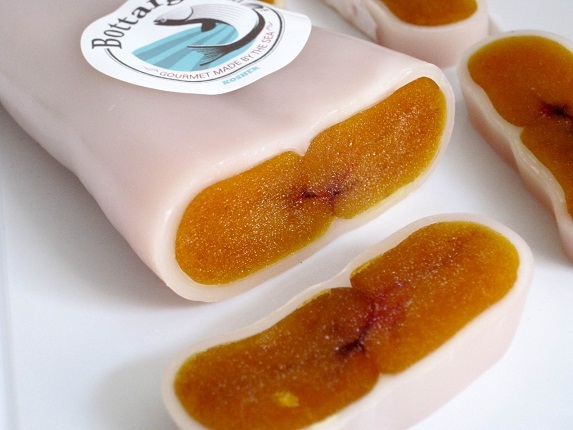 Contact: You may also order our online store Bottarga.